While the F450C addresses many of the larger infrastructure challenges in the transition to 450mm wafer sizes, water treatment systems are affected only minimally. Still, it’s important to consider the impact of this transition, as water treatment is critical to the wafer fabrication processes, especially as we’re simultaneously scaling to smaller nodes. Per wafer, although the 450mm wafer area is increasing by a factor of 2.25—relative to 300mm wafer processing—the expected increase in ultrapure water (UPW) usage per wafer is far less. This is good news both for the semiconductor manufacturing community and the environment. 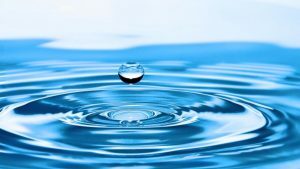 While this isn’t necessarily advantageous for companies providing water treatment services, like Ovivo, we can appreciate the positive impact the transition to 450mm will have on the semiconductor industry, and we fully support it. As semiconductor chip technologies get smaller and smaller, they need purer water. However, as water purity can only be measured according to the analytical capabilities of the equipment being used, it’s becoming more difficult to control. Particle size specifications are already below typical detection levels. With semiconductor process technologies reaching 10nm lines and spaces, a killer particle size is down to 5nm. There are no commercially available particle counting technologies that measure particles of this size at an accurate level. Therefore, for water treatment suppliers, it’s more of a scaling issue than a wafer size issue. However, as it’s more likely that the 450mm fabs will be manufacturing the leading-edge node technologies, this must be considered as part of the overall manufacturing processes being implemented at 450mm. Ovivo supplies a number of products and services to support water treatment in semiconductor manufacturing, including UPW treatment technologies, improved filtration systems, improved ion exchange resins, industrial waste treatment technologies and much more. We were actively involved in outfitting the only 450mm fab in North America, located at SUNY CNSE. Ovivo was also actively involved in outfitting a 450mm research facility in Europe. One of the main reasons we’re involved in the F450C is to build partnerships with tool suppliers and semiconductor manufacturers to work with them on areas where we can provide knowledge. For example, we need to understand the flow rate required by 450mm tools. We’re interested in learning how to use water more efficiently, as well as how easy or difficult it will be to recycle water and take advantage of recycling opportunities. By working in partnership, we can build relationships and ensure Ovivo is a leader in water treatment processes for 450mm fabs.